This movie will be remembered as the first Cary Grant movie I ever picked up. Unlike his other classics, this movie doesn’t have a great story, but if one went back to the era of 30’s I am pretty sure, the theme of the movie would have reflected the mood of many people especially after their marriage. He stars as a husband who ends up having differences with his wife played by Irene Dunne. Well it starts with the introductory scene itself and what happens later is a series of funny conversations and situations that kept me going till the end of the movie. Cary Grant who makes every attempt to ruin his wife’s future marriage prospects, by constantly interfering in her personal life while both wait for the divorce, played the role of a married bachelor to perfection. 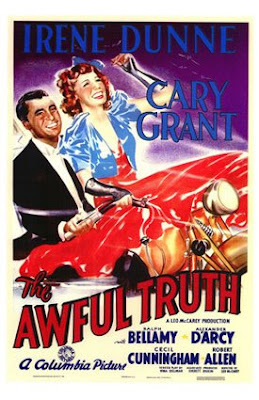 The same is complimented by Irene Dunne to upset Cary’s future prospects. Since I am a big fan of Cary Grant, I would say this movie was first to showcase his comic persona, which became his trademark as he went on to become a legend in the world of cinema. This movie is about married couples, their differences, divorce, J factor etc. 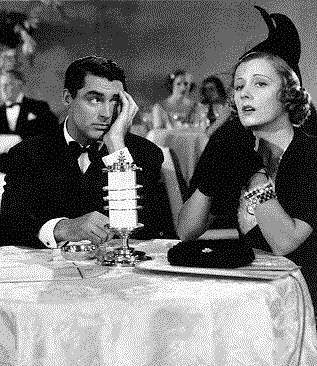 Released in 1937, The Awful Truth starring Cary Grant, Irene Dunne, Ralph Bellamy to name a few was voted as the best screwball comedies of 1930’s. This effort also won director Leo McCarey the best director Oscar. 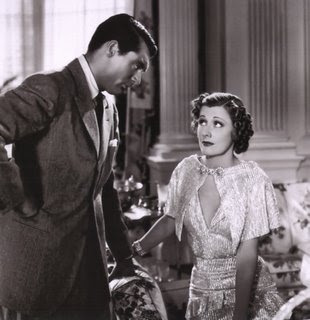 For Fashion pundits, this movie is stylish with respect to its outfits especially the one worn by Irene Dunne in the first scene.